"The circus arrives without warning. No announcements precede it. It is simply there, when yesterday it was not. Within the black-and-white striped canvas tents is an utterly unique experience full of breathtaking amazements. 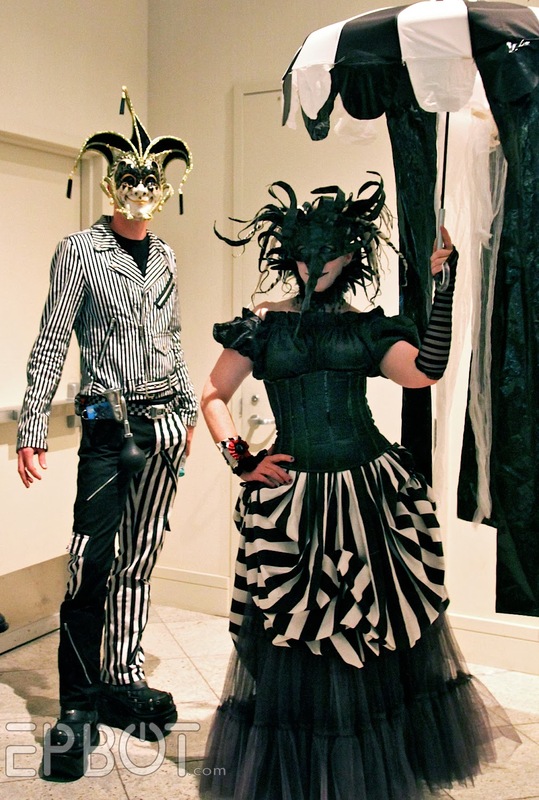 It is called Le Cirque des Rêves, and it is only open at night." I can tell you now this book was nothing at all like I expected. In fact, I think the best way to describe The Night Circus is "dream-like" - which is fitting, since Le Cirque des Rêves actually means "the circus of dreams." It's a pretty hefty read, clocking in at over 500 pages, and with a pace that encourages you to take your time and really absorb every detail. You won't be inhaling this one overnight - and even if you did, you'd be doing yourself a disservice. In the very beginning I was strongly reminded of an old movie from my childhood. Remember this one? Something Wicked This Way Comes also has a mysterious circus that blows in over night, but where Wicked is full of creeping horrors, I soon learned that The Night Circus is full of only beauty and mystery, with characters you soon learn to love - if only from a distance. Part of that distance is maintained by the sheer number of characters and separate plot lines, although they're written so masterfully that there's no danger of getting them confused. It takes a little while for some of the stories to be tied in together, but eventually the whole tapestry of the circus takes shape in a swirling mist of magic, nostalgia, and childhood dreams. That sense of distance is also due to the gentle nature of the storytelling. There are no monstrous villains to hate, no fights or chase scenes, and no real "action" to speak of. (The one small spot of violence near the end is actually quite jarring.) None of the characters are irritating or spiteful, and almost everyone gets along. The story also spans about 10 years, which adds to its leisurely pace. A dream. A competition. An audience that falls in love with the performers. But mostly? You fall in love with this circus. We get to follow two of these outsiders: one a young boy, and one an old man. I can almost guarantee that my fellow geeks out there will fall in love with them both. These are fanboys, through and through, and the way they band together with other outsiders in celebration of their shared passion will resonate strongly with modern fans today. I wasn't too keen on the love story, just because I didn't like the guy very much, but that's a fairly minor quibble - and it ends so beautifully I can almost forgive the author for making him less-than-likeable. Many of you told me these two from Dragon Con were inspired by The Night Circus, and now that I've read it, I can see you're right! I'm a student of Trapeze School New York, at the Boston location. We do 2-month workshops that end with a show, and every show has a theme. We were debating between Alice in Wonderland and zombies for our December 7th show. Luckily we decided on a Night Circus theme. Thanks for reviewing the book! I'm a flying trapeze classmate of Alexa's and we're so excited for this theme. We're going to rock it. I'm actually surprised that no one there has used it yet. I read the book about a year ago. Right now I'm reading the non-fiction circus book Queen of the Air about Lillian Leitzel. I loved this one! Very subtle sort of book, wasn't it? I love love love this book. I wish it had a sequal. This story is magical and inthralling. This is one of my very favorite books and I couldn't have reviewed it any better than you did. When I finished and was explaining to my mother that she needed to read it, all I could say was, "It's just . . . dreamy." And beautiful. Love! I just want to say that I've never seen the movie, "Something Wicked This Way Comes", but it is based on a very good book and you should read it if you haven't. :D I tried to get into "Night Circus", but I'm one of those, "This is way too slow!!!!" I loved it, loved it, loved it. And I agree the "outsiders" were my favorite part of the story and I may or may not have thrown the book at one point... (which is not normal for me- at all). and I find it interesting that you identified the woman as the main character. I identified the male as the main character. As I was reading it, I thought it would be a great movie. Once I finished it, I decided a movie would butcher it. A TV miniseries, though, would be AWESOME. I should have loved this book...but I just couldn't. The author is amazing in her descriptions but past that there wasn't much plot to justify the length of the book. It's been a while since I've read it so I can't recall exactly what I didn't care for but I still feel such a lingering disappointment. It's like finally going on a date with the cute guy you've been eyeing and finding out he's boring and has no sense of humor. That was how I felt about Jonathan Strange and Mr. Norrell. I can't actually tell you what I disliked about it either. Whether I give this one a try will likely depend on whether I spot it at the library. Since I don't usually end up in that section of the library (I'm usually taking kids, so while I have access to Percy Jackson, I don't usually get to the books that I might otherwise be drawn to), it seems unlikely. 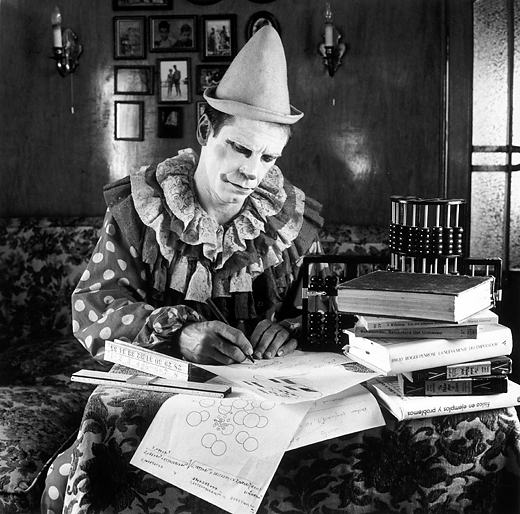 I think it is very risky for writers to set their books in a circus. It is far too easy to fall in love with the scenery and forget to flesh out the plot. That is what I feel happened here. It felt like a series of very beautiful and evocative vignettes of very lovely and creative things happening in the circus, all the different rooms, but the plot was strung along the outside. It moved from scenery to scenery instead of from scene to scene, so the pace bogged down. I also felt the ending was a betrayal to the characters. The final "solution" seemed unfair. The writing was beautiful and the plot had potential, but it didn't pull it all together for me. Lovely description of the book. The best I could ever do was to tell people that if they liked "Phantom of the Opera" and "Moulin Rouge" they'd love "Night Circus" as much. I second Audra's comment - if you've never read Ray Bradbury's "Something Wicked This Way Comes", upon which the movie was based, you should really give it a try. Some mildly creepy bits, yes, but mostly a beautiful nostalgic coming of age story. One of my favorite annual autumnal reads. 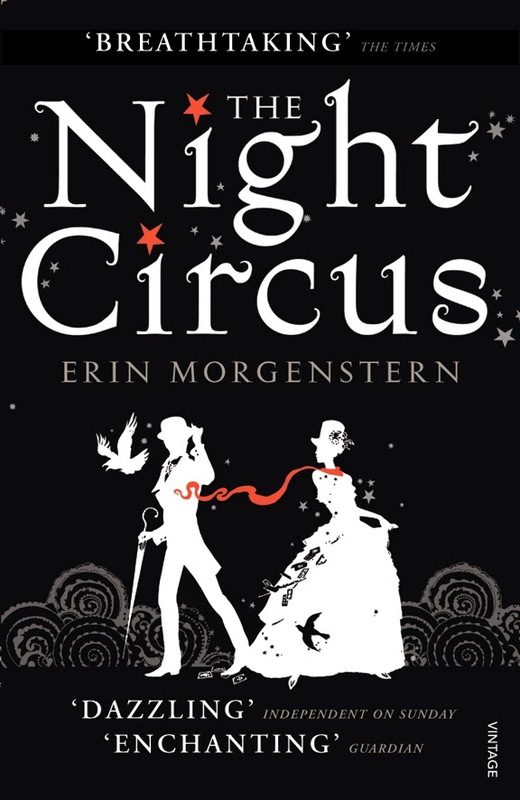 And I avoided the Night Circus for ages because the cover blurb's focus on the love story turned me off, but I kept finding it back in hand every time I visited a bookstore. I finally gave in, purchased it, and ended up absolutely adoring it. I would also recommend The Golem and the Jinni, by Helene Wecker. Gorgeous, magical tale of an unlikely friendship. Thank you. I've the book on reserve at my local library. This is one of my new favorites! I was lucky enough to get it for free on my Kindle before it became popular. Even though the pacing was leisurely, I could not put this book down! I cringe over the thoughts of this becoming a movie, because it would ruin the beautiful pictures I have in my head! OHHH NO!!! Where is cakewrecks? I'm a little panicked. Heh, sorry about that; our server went "bork" for a while. Should be up again now! I also loved the book--until the ending. I guess I'm picky about endings . . . so many books I've read seemed to poop out at the end (e.g., Mark Helprin's "A Winter's Tale" anyone??). But I third, fourth, and fifth the comments about Ray Bradbury and his books such as "Something Wicked This Way Comes." I can't tell you the influence Bradbury's stories had on me when I first read them in high school -- and I keep re-reading them. I tend not to watch movies of books I've loved because they're never as good as the movies in my head when I read. I look forward to reading the other books suggested by folks on this list! Thank you! I've had a run of bad luck with semi-entertaining books with just awful endings. I am too kind to list them all here (plus my memory is shoddy so I don't remember half). I usually remember the author's name and have stopped myself from reading their new books since I've been burned by their craptastic ways of ending a novel. The guy who cosplayed slave Leia at DragonCon 13, Ryan Consell, also wrote a book – “How Not to Poach a Unicorn” – that I really enjoyed. It is kind of like “Off to be the Wizard” in a similar fun, fantastical, kinda kooky way. My apologies to anyone if it has been mentioned before – I’m an infrequent Epbot reader and even less frequent comment reader/writer. But obviously I read and enjoyed the Wizard, based on Epbot’s recommendation. If you liked the Night Circus, then YOU MUST TRY MECHANIQUE. I randomly bought it because of the cover and the title, and I love it so much! 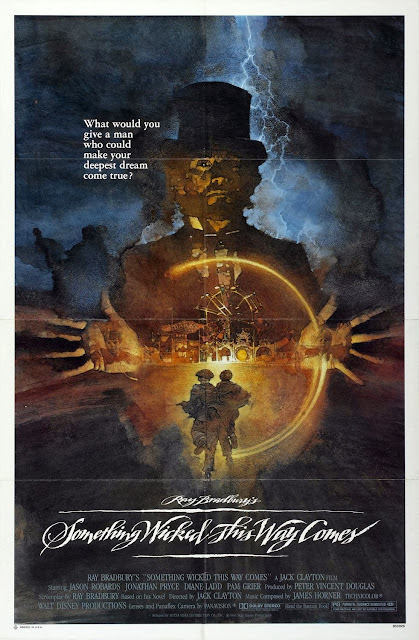 It's about another circus, that's basically halfway between the Night Circus, and Something Wicked This Way Comes- beautiful and creepy and really, really steampunk-y. Just read it. It is so haunting, and enchanting, and dreamy, and terrifying. I'm glad you liked it :) I fell in love with it pretty instantaneously and it's become one of my favorites but I completely understand the negatives that you wrote about. I was one of the people who suggested this. I love it. I think your descriptions were right on, except that I also thought there were 2 main characters. Two things. I listened to the book rather than reading. It is read by Jim Dale, the brilliant reader of the Harry Potter series. He did not disappoint in this book either. The other is that I think you need to be in touch with some kind of inner child to like this. I have recommended it to many people, most like it, but a stodgy few just don't get it. I want to see that circus! Oddly, I love this book, never liked Jonathan Strange enough to finish. I won't even loan my copy of night circus out! I really enjoyed this book, and I'm glad you mentioned the distance. That's what struck me. I finished the book not feeling like I knew these characters at all...and it is the only book I've ever read where that actually WORKS. It's not that I don't know them because there's nothing to know or because the writing was too clunky to let me in. I don't know them because of who they are, because of the mystery that encompasses their entire lives. It was the guts and mechanics, the crafting of the book that really fascinated me (even though the story was good, too!). I'll be reading this book! Your description of The Night Circus fits almost perfectly this circus that I met and fell in love with a few years ago. It's called Raluy Circus. It's an old traditional, steampunk-ish sort of circus. It's got caravans that are 200 years old and they keep this sort of old fashioned, magical aesthetics. I loved everything about them and I've visited them (and stayed at the circus) in two different continents. I feel that reading The Night Circus will be like reliving that magical experience. Thank you ever so much! OOps! Entered the link wrong! Sorry! I've had that on my kindle for 6 months and not read it yet. Must get around to that! That book has totally trained me to crave/smell caramel popcorn when ever I think about it. The way you described this book definitely made it a "have to read." I love your reviews! The comparison with Strange and Norrell was interesting, since to me they're so very, very different, although I can also see the similarities you point out. I read about a third half of Night Circus, but ended up putting it down at some point when a young woman is introduced wearing a strappless dress, which is such nonsense historically--doesn't matter if she was an unconventional circus performer, strappless dresses just didn't exist. It just made no sense, and given that I've been interested in historical fashion for a while, it was just the detail that broke my tolerance. Not totally rational, given the other fantasy elements, but I think most of us have those details that just get to us. And I think of Strange and Norrell, which is one of my favorite books, as being so perfectly historically accurate, in that it preserves the feeling of the perio while still adding fantasy elements. But given how many people here love it, maybe I should revisit Night Circus. Read "The Color of Magic" It is one of the best books I've ever read. It is extremely funny but also has an interesting plot and world. YOU WILL LOVE RINCEWIND. YOU WILL ALSO LOVE TWOFLOWER. I DO NOT HAVE ENOUGH TIME TO EXPLAIN EVERYTHING YOU WILL LOVE BUT BELIEVE ME YOU WILL LOVE THEM. I listened to this book, and it was absolutely delightful! Worth a listen, even if you've already read it! Jen, may I suggest a great book called Imzadi. it is a Star Trek, The Next Generation book by Peter David. I read it at least once a year. It takes the Riker/Troi romance to a whole new level. I can't recommend it highly enough! Plus! Riker's response to a Betazed asking why Earthmen are so hairy: "Traction," responds Riker! Is that the book where Lwaxana is given the power of the Q, and goes after Q; telling Deanna "not now dear, mother is chopping wood?" I'm so glad to see your review of Night Circus! I'm one of those who looked at it at the store for a long time before finally making the commitment. I loved the book, but was somewhat bemused by the "when is the story going to get started?" feeling. Once I got used to the fact that "this IS the story" I loved it. The one violent act really shocked me. I too thought the ending was a little nebulous; I kind of wondered if the author couldn't figure it out herself. Once I finished it I couldn't think of a single person in my life who might enjoy it, so had to "half-price" it. I read "Something Wicked..." and loved it, but it was so long ago I never thought to make the connection. Thanks for thinking of that for me! I know my thoughts on the Night Circus seem to be all negative, but I did enjoy the dreamy feeling of it and her captivating use of the language. I adore this book, and I second the recommendation for The Golem and the Jinni. So, I haven't read this one but I just wanted to say that upon reading your review of Monster Blood Tattoo (such a ridiculous title) I decided I wanted to read it. I mentioned it to my wife and the next day she showed up fresh from the library, the whole trilogy in tow. I'm about half way through the third book and it. has. been. awesome. I want to live there. I want a thrice high and a proofed weskit. I want to crank a seltzer lamp and sail the vinegar seas. Thanks for the recommendation. I hope the ending is as good as the rest of it. I really enjoyed reading The Night Circus. It was a slow read for since I had to reread parts of the story to make sure I didn't miss any details. I will be rereading it soon. I am sure I missed something. It was a fantastic story. I love the cover, but for whatever reason never picked it up until you mentioned "Something Wicked This Way Comes." Bought the book this weekend and am really enjoying it so far. The writing is lovely. I had picked two books from the reader comments a few book reviews back to try. "Night Circus" and "Birthmarked" by Caragh O'Brien. Though I did enjoy reading "Birthmarked" I would not highly recommend (read: PLEASE DO NOT ATTEMPT) the other two in the Trilogy. I will say only this. "Love Square"
And no, I am not over exaggerating. The term is actually used by the female lead in the series. It is dismal. I was stalling on "Night Circus" because of my literary depression brought on by the "Love Square." So I am glad you brought this one back up and gave such an honest review. You have bolstered me in my time of greatest literate need! Thank you Jen! Thank you! Thanks for this! I just finished two great books on my kindle, and was having a book hangover, and couldn't figure out what to start next. This made me realize that I had this on my wish list...time to purchase! I don't know if you've read the book Something Wicked This Way Comes. It is in the very word-picturey, poetic, Ray Bradbury style that I love--not sure if you're a fan, but it is the happiest Bradbury story I've ever read. I would highly recommend it. It's beautifully written, and I love how it ended. It *is* on the slow side, but I can overlook that. My only real complaint is that there's a lack of overt conflict - until you realise there's a ton of it, just very subtle. I would recommend 'the thirteenth tale', by diane setterfield - this is her first novel and it's incredible, impossible to put down. This one will make you cry in the end though, but worth it. OMG! I'm late to the party because of a computer issue, but I had to comment on Something Wicked This Way Comes. For some reason, that movie came out (or at least made it to our movie theatre) around 4th of July. And in my hometown, 4th of July always meant carnival in the park. Guess what idiot walked uptown to see the movie, and then had to walk back home, past the carnival, at night after the movie was over? Yup. That idiot would be me. I love your review of this book. I read it over the summer and was a little frustrated at the pace because the story was so good I wanted to know what happened next. But I stuck with it and loved how it came together. I'm glad though that I wasn't the only one who felt this way about the pace, I wasn't too sure at first if it was taking me so long to read it because I couldn't get into it, or because it was written to be like that. 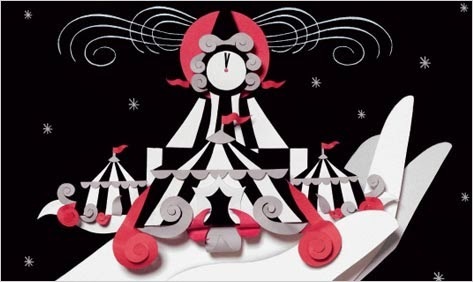 I know I'm really late to this party, but as an awesome FYI, The Night Circus was written for NaNoWriMo, which I think is awesome (participants write 50k+ word stories during the month of November). Obviously it takes longer than that to get a finished project, but any author that can get a top-notch novel out of NaNo is totally worth reading in my book. Novel writing is damn hard work.